S.T.A.T.E.M.E.N.T. 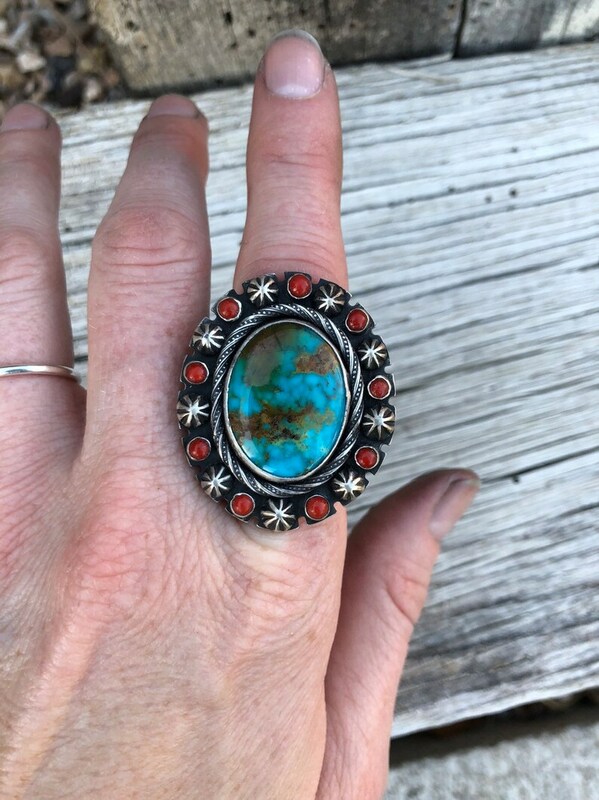 Turquoise Mountain & Mediterranean Coral statement ring. Serrated edges & stamped sterling details. Triple ring shank, oxidized to enhance details.